Dynamic and energetic, Karen is passionate about working with major multinationals and Australian startups to strategically protect, manage and commercialise their innovation in Australia and internationally. Karen is a Patent and Trade Mark Attorney, and Principal at Watermark Intellectual Property. 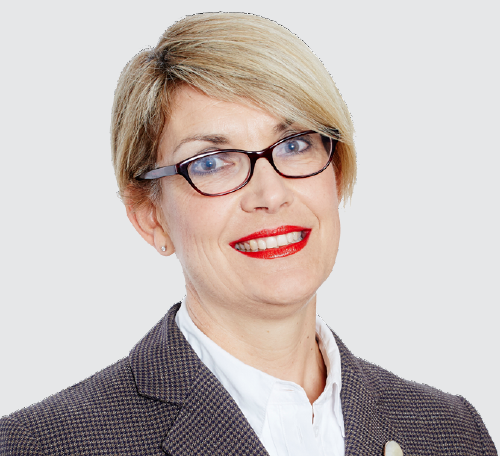 She has had over 30 years’ experience helping clients turn their IP into a working portfolio of assets which delivers commercial outcomes, enhances their competitive position in the market and which is aligned with the overall objectives of the business. Karen works on a diverse range of startup and SME-owned global patent and trade mark portfolios for both Australian clients and global multinationals, particularly in the chemical and pharmaceutical fields given her technical qualifications in organic chemistry. Karen has completed the AICD Company Directors Course and is also a Director of Watermark Intellectual Property. In 2016, Karen was a lead negotiator in the sale of the business from private to public interests. She has advised a number of clients in the IP aspects of capital raising, provides education to wide variety of industry organisations on IP, and is a mentor for the Industry Mentoring Network in STEM.